Are the holidays to rest? Summer. This is what seperates the top income earners from everyone else. when most people are just chillin and having a good time? There are a number of strategies you can use, that will cause you to have massive growth. year because you want to give them the gift of success. outside of the box and introduce the concept of Home Based Businesses to them. from you in the past but maybe you have not spoken to them in a while. are willing to try something new with the possibility of having a good year to come. 4. Holiday upline open house. connect with their guest and arrange to follow up in January. develop strong relationships which will lead to buying customers. 6. Visit community holiday functions. The thing is to connect, connect and connect. great way to do this. Get out and become a "networking machine." form of contact info as well. Check your Sunday newspaper for where these events are. 7. The holiday success card. topic. This will set you apart from the rest. people are not going to want to be doing anything during this time. At some point in a persons life people dream of achieving something great, being remembered, you know being somebody special. 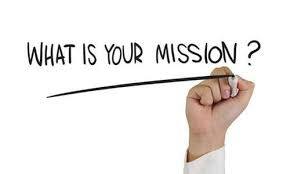 If you are honest with yourself, you have probably dreamed of being a Holly Wood star and a famous music artist, or may be a successfully rich business man/woman.Or maybe your dreams have been centered around having a loving family, going out and helping people on missions or being able to save lives in some capacity. This is so sad to see because instead of experiencing exciting adventures maximising our life experience, we get caught up in the mundane activities of living from day-to-day just barely existing. Does life have to be like? Life could be so much better, if only we learned to aim higher. You imagine if everyone thought like that, there would have been no inventions, no innovations, and no breakthroughs in human accomplishment. I don't know if you know but scientists were baffled when they took a look at the humble bumblebee. Theoretically, they said, it was impossible for the bumblebee to fly. It's a good job the bumblebee does not listen to popular opinion, because fly it certainly does. On the flip side you have people that will dream totally outrageous dreams but never act on them. The result? Broken dreams, and tattered aspirations. If you limit yourself with self-doubt, and self-limiting assumptions, you will never be able to break past what you deem impossible. If you reach too far out into the sky without working towards your goal, you will find yourself clinging on to the impossible dream. You know, always thinking, "This time next year i'm going to be a millionaire". As you work your way through this process, you will find out that the goals you thought were impossible become easier to accomplish. Then the impossible begins to seem possible after all. You see, the technique here is not to limit your imagination. It is to aim high, and start working towards that goal little by little. However, it is also not advisable to set goals that is truly unrealistic. Thomas Edison once said that genius is 1% inspiration and 99% perspiration. Nothing could be truer. For one to accomplish his or her dreams, there has to be hard work and discipline. But take note that that 1% has to be a think-big dream, and not some easily accomplished one. Should stop looking for things that are easy, but focus of the things that are worth it. Ask anyone that trains seriously at the gym and he or she will tell you that there can be no gains unless you step out of your comfort zone and commit in your own mind, that this thing is not going to beat you. Remember the saying, “No pain, no gain”? Well that is true, but even though it is painful, that process only lasts for a while, then after that, you experience the joy of completing the task and all of the rewards that come with that. Have the right perception, because your perception will effect your opinion and your opinion will effect your attitude and your attitude will effect your performance..